We all have our own unique natural hair texture. Your hair won’t look like mine. If you believe using the same hair products as me will give you the same results, then I have a house, car, and boat that I'd like to sell you. Your natural hair may look similar, but there's no guarantee that you'll have the hair of your natural hair crush. Remember that! Whether you decide to big chop or transition, there will be an awkward hair stage. Your hair will be short. If you’re expecting your hair to grow overnight, you need to wake up and embrace the hair you have. There are plenty of sites available to learn about natural hair such as Youtube, Fotki, and Google. Use your search engines! Being natural, you should know that not everyone is going to like your hair. Think about why you are going natural. Are you doing it for yourself? If you are doing it for yourself, then no one’s opinion should matter to you. Confidence is very important when being natural. Natural hair requires work. You have to learn what hairstyles you like and don't. Once you find what works, then you can develop a routine. You'll know how long it takes to do different styles and be able to plan your time accordingly. Learning what works for YOUR hair is no easy feat, but that's where research comes into play. Learning styles will take time and patience. You’ll have to experiment with different looks and products until you find what works for you. Absolutely not! There are times when my hair is frizzy, but I embrace it. My hair won’t always be perfect and I don’t expect it to be. The best thing you can do is to find a quick alternative hairstyle for those bad hair days. My solution to a bad hair day is a high puff. Do you have any reasons why you would recommend someone NOT to grow their natural hair? Share it in the comments section below. If you think your natural hair has to be a certain texture, color, or curl pattern to be beautiful. If you think that you'll just be able to get up and go without doing anything to your hair at all. Thank you for this post! I'm typically cautious when I discuss natural hair with someone who is not natural. I let them know it's not easy and to really think about it. If they have questions ask me, I'll send blog information and to also go on to YouTube. At the end of the day, I don't push them or dog them for not going natural. That's a personal decision and should be met with time and consideration. I think is a person wants to go natural, then that's lovely. It should always be their choice, but research can help a lot. There's plenty that I'm still learning about my hair and I wouldn't change it for the world. I am currently transitioning to natural hair. I get everything you are saying but I have to admit that I am lazy sometimes when it comes to my hair. I know that it won't be easy but I want to be natural because I fell in love with my natural texture while stretching between relaxers and that part of my hair felt healthier than my relaxed hair. I want my future children to be natural so I want to be at ease with my own natural hair before that. I live in Senegal, West Africa. 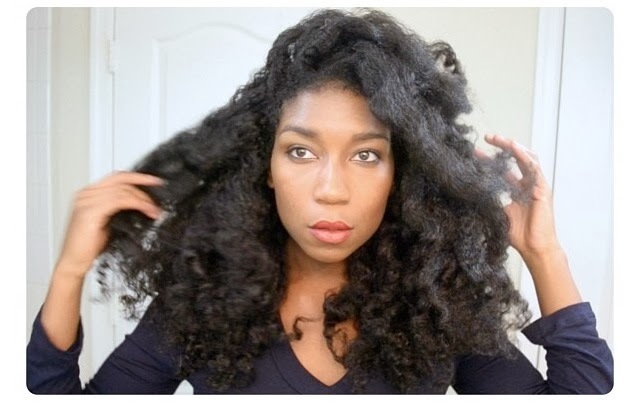 It will be a little hard for me to find the products most natural hair women (mostly the bloggers I follow or the women I read on natural hair forums) use here. When I do find some of those products, they are expensive. I will have to do with what I have and experiment a lot. Almost all the women here have relaxed hair and I only know one really expensive natural hair salon. I will have to stop relying on hair stylists to do my hair. It's going to be a long and sometimes hard journey but I am willing to do it. Thank you for this post and all the tips you are offering :). P.S: I apologize for any spelling mistake I've made. My first language is french. Manageability according to the texture of ones hair can determine if they should or not...It can become time consuming, aggravating and a tendency to just let it go and become careless of our hair..Then their are those that have that inner stylist in them that has the skills to do whatever with their hair. So my problem is I'm a busy mom of 2 daughters who are 12 & 8 and both have natural hair. I usually blow dry it, press it or get them braids. As I research and am trying to take better care of my relaxed hair, we are all moving to "No Heat" styling. This was a good read for me as I transition them to no heat that everyday won't be perfect, so I better get ready. Thanks! When I first saw the title, I was like whhaat? Lol but after reading this is true! "If everyone's opinion matters to you" then you should definitely stay away from going natural or wearing the "fro" style. When I first decided to go natural I was nervous because my sister is so anti-fro and I was nervous about what she would say. My husband told me I would look beautiful bald and that right there was the encouragement I needed! He helped my chop my ends off and he loves it..I think he just hates Target because I stand at the natural products and find reviews on my phone for at least an hour lol! Totally love this article. Always good to find hair crush that has same or close to your texture. No need looking at texture 3b girls when you have 4C;-) Being natural definitely takes patience. Patience to get to know your hair, products that work, styles that fit your taste and patience to see it blossom like a flower. You should check out my homegirl Bibi's site www.omgiloveyourhair.com. She's currently in Abidjian , Côte D'Ivoire and so understands having to find affordable natural ingredients while living in Africa. Hope that helps!